Allowing application servers to relay off Exchange Server 2007. MTR combines the functionality of the ‘traceroute’ and ‘ping’ programs in a single network diagnostic tool. As mtr starts, it investigates the network connection between the host mtr runs on and a user-specified destination host. After it determines the address of each network hop between the machines, it sends a sequence ICMP ECHO requests to each one to determine the quality of the link to each machine. As it does this, it prints running statistics about each machine. Some distro’s include MTR as a package like Debian. 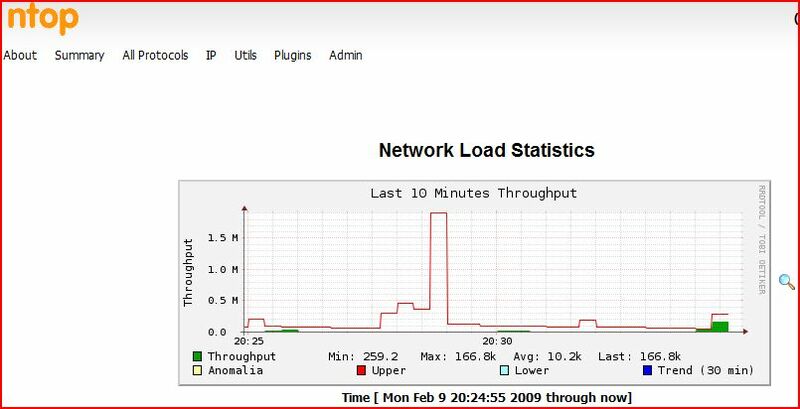 ntop is a excellent Network Traffic monitoring tool and a very handy thing to have on your network, as it provides a snapshot of the traffic flying around. One of the best imaging applications I’ve ever used and it’s Open Source Software and FREE! Clonezilla and my favourite for doing a quick image backup of your computer is Clonezilla Live. Clonezilla live is suitable for single machine backup and restore. While Clonezilla SE is for massive deployment, it can clone many (40 plus!) computers simultaneously. Clonezilla saves and restores only used blocks in the harddisk. This increases the clone efficiency. At the NCHC’s Classroom C, Clonezilla SE was used to clone 41 computers simultaneously. It took only about 10 minutes to clone a 5.6 GBytes system image to all 41 computers via multicasting! How do I find the version of my Debian and/or Ubuntu? Comments Off on How do I find the version of my Debian and/or Ubuntu? If you need to change the listen address for snmpd, then modify /etc/default/snmpd for Debian Linux. Ubuntu is slightly different on some versions, check the config files. Default input language on servers required to be English Australian, can’t remove English (United States). Try this on the Citrix servers and remove the English (United states) from the control panel area regional settings etc. Also works with any workstation. Excellent article regarding VMWare adapters and the windows firewall – I have always wondered what was going on with the Windows firewall on my laptop and now I know. HowTo upgrade from Debian Etch (4.0 ) to Lenny (5.0) article which is very timely as there is movement from the Debian camp about a Lenny release this month.